€2,267,763 is being made available to help meet Dún Laoghaire’s housing needs in a variety of ways”, says Fine Gael TD for Dún Laoghaire, Mary Mitchell O’Connor. The funding forms part of a €91 million Government package to make more social housing available to those who need it and also to improve the standard of housing for people with disabilities, as well as retrofitting homes to improve energy efficiency. 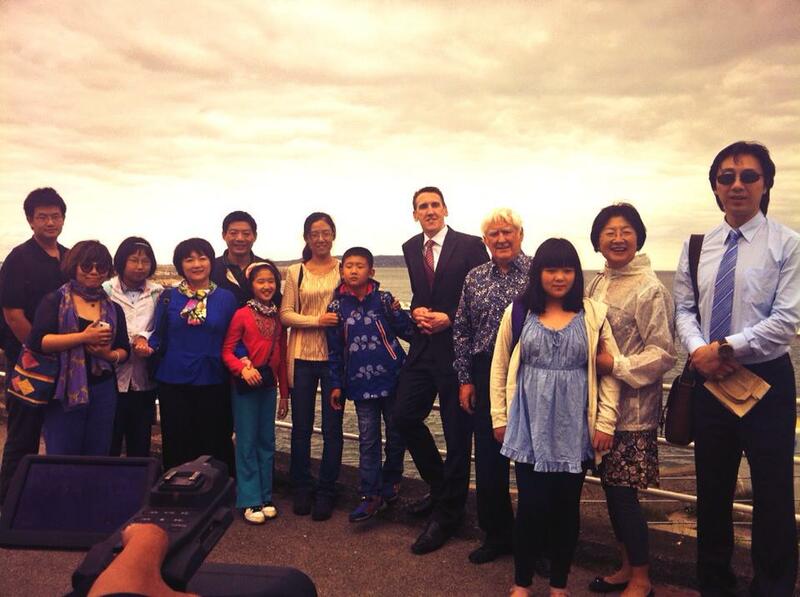 “In Dún Laoghaire, €90,000 is being made available in 2015 to bring vacant social housing units back into use. In total across the country over 1,000 units will be returned to the housing list for people and families who need them. This builds on the more than 2,300 units brought on stream last year with an average cost of refurbishment of €11,277. It is a terrible legacy of the recent economic crisis that there are boarded up social housing units around the country when there are people urgently in need of accommodation. This funding package seeks to return these units to use and give people and families the fresh start they need in a new home. “Older people and people with disabilities living in Dún Laoghaire social housing are also set to benefit from €1,255,205 in investment in Housing Adaptation Grants. This is part of a €50.5 million package for Housing Adaptation Grants for Older People and People with a Disability across the country. The funding will allow extensions to be built for people with a disability as well as housing adaptations to improve mobility aid, such as stair lifts, access ramps etc. A further €513,200 will be made available for local authority house adaptations and extensions to meet the needs of tenants with a disability and to deal with overcrowding. “The third element of this housing funding announcement is a €20 million package for energy retrofitting to make social housing more energy efficient. Dún Laoghaire is set to receive €409,358 to allow tenants to complete this work to make their homes warmer and more efficient and to cut down on their bills. “The economic recovery is gaining momentum and the Government has a plan to spread its benefits to everyone. After years of hardship caused by the economic crisis and the disastrous policies of the last Government, it is time for better living standards and improved public services for the people of Dún Laoghaire. It is time to give our young emigrants the opportunity to come home. The Government has a plan to achieve this vision and the Spring Economic Statement shows that the plan is already working. “Since the beginning of the Fine Gael Labour Government, the national deficit has been reduced significantly from €15 billion to €4.5 billion, and our national debt is now moving towards the European average. Thankfully this was achieved with less tax increases and expenditure cuts than anyone thought possible. We ensured that we maintained the core social welfare rates to protect the most vulnerable while getting the economy back on track. We built more schools in the midst of the economic recovery than were built under Fianna Fáil and the Greens in the boom years. In what is the first step towards universal free GP care, 300,000 children and senior citizens who currently have to pay to see their GP, will no longer have to do so from this summer. “We will achieve the promised 100,000 jobs this year, a year earlier than planned and by 2018, the jobs lost during the crash will have been recovered. “We are now focused on improving the lot of the so called ‘squeezed middle’- the people who feel they have been paying for everything since the economic crash. Many of these people now find themselves struggling with mortgage arrears, and the Government will make an announcement on this in the coming weeks. Minster Noonan plans to meet with the six main lenders in Irish Banking in May, to discuss their plans for reducing interest rates. “A cornerstone of the Government’s plan to grow the economy and improve living standards is putting more money back into people’s pockets through reductions in income tax and USC. This is being done in a sensible responsible way that won’t jeopardise the recovery. As Minister Noonan said in his speech to the Dáil today, we won’t return to the ‘if I have it I’ll spend it” ways of Fianna Fáil. That approach, which was aimed at buying elections, would represent the single biggest threat to our economic growth. “By contrast, this Government is focusing on sustainable long term growth. It is estimated that the economy will grow by 4% this year and by 3.25% per year for the next decade. For Budget 2016, Minister Noonan says he will have flexibility of between €1.2- 1.5 billion and that this will be split evenly between tax reductions and spending on vital public services. Fine Gael Dun Laoghaire TD, Mary Mitchell O’Connor, has today (Thursday) encouraged local residents to make their voices heard on the Local Property Tax (LPT). Deputy Mitchell O’Connor was speaking after Dun Laoghaire Rathdown County Council announced it is inviting submissions on whether it should lower property tax rates. “The Government has given local councils the power to adjust the rate of the LPT, within a range of +/- 15%. While cutting the property tax sounds like a no brainer, it is important to add that it is essential that local councils manage their budgets sensibly, otherwise local services will be hit. “I hope that Dun Laoghaire Rathdown County Council will be in a position to lower the property tax for local residents. Just because you live in the so-called ‘leafy suburbs’ doesn’t mean you find it easy to afford the property tax. But I would also caution that the council must ensure that if it cuts the property tax rate, local services should not be allowed to suffer. “This Government is determined to give local councils more control over their own affairs; that is why the administration of the LPT has been handed to local councils. Home owners in Dublin, and particularly in areas like Dun Laoghaire where property prices are rapidly rising, often pay considerably more in property tax because their homes are worth more. I know it has been of concern to you that Dun Laoghaire Courthouse has been threatened with closure. Since late last year, I have had meetings with solicitors and Business Associations about the impact the closure would have on local legal cases, and also the impact it would have on the business community in Dun Laoghaire. Closing Dun Laoghaire Courthouse will entail the public, Gardai, and solicitors travelling to courthouses in either, Blanchardstown, Dolphin House or The Courts of Criminal Justice in the city. I have also met with The Minister for Justice and Equality, Frances Fitzgerald, about the threatened closure, outlining the impact it would have. In the Dáil, I put a Parliamentary Question to the Minister for Justice and Equality and she has sent me her reply. for WRITTEN on Tuesday, 8th July, 2014. * To ask the Minister for Justice and Equality the reason Dun Laoghaire courthouse is being considered for closure in view of the fact that it will result in a breakdown of the administration of justice and increase financial costs for the State in the long run; and if she will make a statement on the matter. As the Deputy may be aware, under the provisions of the Courts Service Act 1998, management of the courts, including the provision of accommodation for court sittings, is the responsibility of the Courts Service which is independent in exercising its functions. However, in order to be of assistance to the Deputy, I have had enquiries made and I have been informed that following a review undertaken in 2013 into the delivery of court services in the greater Dublin Area, the proposals which have recently been published by the Courts Service include a proposal to close the District Court venue in Dun Laoghaire. The purpose of the review was to examine options to ensure that the Courts Service can continue to maintain an appropriate level of front line services to court users throughout Dublin city and county. The review has been the first comprehensive assessment of the delivery of court services in Dublin in many decades. In addition, the proposals arising from the review are designed to ensure the maximum utilisation of court accommodation and resources while at the same time providing opportunities for efficiencies across the justice system. The Courts Service recognises that the proposal to close the court venue in Dun Laoghaire would inevitably have an impact on a range of organisations and courts users. In this context, I welcome the consultative approach which is being adopted by the Courts Service in seeking submissions on the proposal from any interested parties or local interests. The Courts Service had originally sought submissions by the end of June but it has now agreed to extend the timeframe for submissions to early September to allow for the fullest possible consultation. I have been assured by the Courts Service that all submissions received on the proposal will receive consideration. It is intended that proposals arising from the review including the closure of the court venue in Dun Laoghaire will be considered by the Courts Service Board at a meeting in October. I have been assured that any impacts on the administration of justice and/or any possible increased costs to the State will be among the matters which will be taken into consideration by the Courts Service Building Committee and the Board when considering the proposals. It should, of course, be noted that the final decision in relation to the closure of any court venue is a matter for the Board of the Courts’ Service. Fine Gael Dun Laoghaire Deputy, Mary Mitchell O’Connor, said the provision of €50,000 towards the development of a youth café in Dun Laoghaire will provide a safe, secure and alcohol free environment in which local children can hang-out and learn new activities. The announcement comes as part of the delivery of €1.5 million in capital funding for 30 new youth cafés across the country as announced by the Minister for Children and Youth Affairs, Frances Fitzgerald TD. “These funds will be used by Catholic Youth Care (CYC) to move in to the Boylan Centre in Dun Laoghaire, where the café will be located and to share space within the building with Crosscare. This demonstrates a practical approach to delivery as both organisations will be engaged in rationalisation which will allow funds to go further. “Ensuring that young people have access to a safe environment in their locality in which they can hang-out and avail of activities and social recreation is so important. If a youth café is provided locally it gives children a focus and an alternative to hanging around the streets while chatting with and catching up with their friends. Submissions made at local level were invaluable in feeding into Advisory Group for Small Business. Fine Gael Dun Laoghaire Deputy, Mary Mitchell O’Connor, has welcomed the engagement made by small and medium business community in Dun Laoghaire in the run up to the framing of Budget 2014. Deputy Mitchell O’Connor said that the business community making its views known at government level is essential to ensuring that their needs are met. This ensures that the measures that encourage future investment are put in place to allow for the job creation we need. “I have been working hard for small and medium-sized enterprises (SMEs) both at constituency and national level since I was elected in 2011 by holding meeting with Government Ministers who can determine, first-hand, what the business community needs most. Earlier this year, I organised an SME conference at Fitzpatrick’s Killiney Castle Hotel called, ‘Listening to Small Business’ which was attended by the Minister for State for Small Business, John Perry TD, who took careful note of the information being relayed to him. “As recently as last week, I brought a group of local small business representatives into the Department of Jobs, Enterprise and Innovation so that they could make their case to the Advisory Group for Small Businesses. In his post-budget speech, Minister Perry stressed the importance of recommendations from the Advisory Group, which he brought to the attention of Minister Noonan during his Budget deliberations. “There is no doubt that this Budget is pro-jobs and pro-business; a fact which is reflected in the response to it from business leaders. Among the measures included in yesterday’s announcements are a €500 million jobs stimulus package; 25 new measures to support entrepreneurs and job creation; the retention of the 9% VAT rate on tourism and hospitality; a Building Your Business initiative; a 2 year income tax exemption for long term unemployed who start a business; Capital Gains Tax relief on reinvested proceeds to encourage future investment from businesses; an increase in the VAT cash receipt threshold to €2m; the removal of Employment and Investment Incentive from Higher Earners Restriction; an improvement to R&D Tax Credit and a Training and Mentoring programme for SMEs. 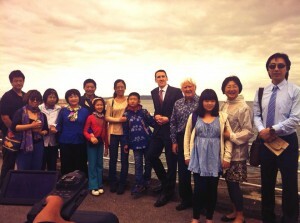 Fine Gael TD for Dún Laoghaire Mary Mitchell O’Connor has welcomed the latest official Gathering event this morning, with a group of 15 Chinese visitors arriving at the Maritime Museum and the picturesque promenade in Dún Laoghaire. An Cathaoirleach of Dún Laoghaire-Rathdown County Council, Cllr. Carrie Smyth greeted the group at the Museum and was delighted to hear of the groups plans to further explore the scenic sights of Dún Laoghaire, taking in Dalkey, Killiney and beyond, pausing for breaks along the route to paint the stunning landscapes they encounter. The visit comes hot on the heels of the latest official data on overseas travel from the Central Statistics Office, which has reported an increase of overseas visitor numbers to Ireland up 5.4% for first half of this year, the year of The Gathering. 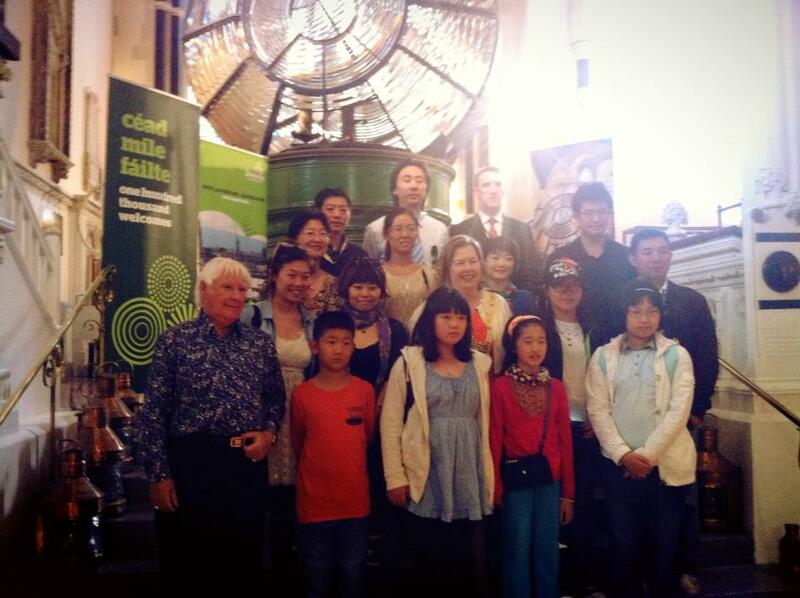 The Chinese group is in Ireland filming a documentary on painting in Ireland for Chinese TV in association with the well-known artist Frank Clarke of ‘Simply Painting’ fame. 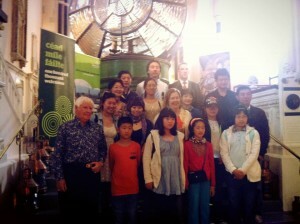 Frank has been working with Chinese art groups in China for over 10 years now, and was keen to showcase the beauty of Ireland to his Chinese friends. Fine Gael Dun Laoghaire Deputy, Mary Mitchell O’Connor, has expressed her disappointment this afternoon (Wednesday) at the news that the Marks & Spencer store in Dun Laoghaire is to close as part of a strategic review of the company nationally. Deputy Mitchell O’Connor said the lack of parking in the town has without doubt played a part in the volume of traffic shopping at the store, saying a resolution to the problem needs to be found before more retailers are forced to shut up shop. “The news that the M&S Simply Food store in Dun Laoghaire is set to close in ten days’ time is shocking and my thoughts are, first and foremost, with the staff who will bear the brunt of this decision. “There have been a significant number of shop closures in Dun Laoghaire in recent years and it is no secret among the local community that the lack of parking spaces in the town is forcing shoppers into the arms of retailers that have ample space and that provide free parking. In the instances that parking spaces can be found in Dun Laoghaire, the astronomical costs attached to hourly rates is acting as another disincentive to shoppers, who opt instead for the hassle and charge free options that are available on Pottery Road and further afield. Dún Laoghaire-Rathdown County Council has this week launched the first draft of its Cycle Network Map. The map is the first of its kind in Ireland and is an important element in the development of the cycle network and in promoting cycling as a viable travel mode. The map brings cohesion to the cycle network and will help cyclists determine the most direct, safest and most efficient route for their journey. The map is just one element of the County Cycle Network Assessment project, which aims to develop and enhance cycle routes in the County. The project reflects the Council’s commitment to providing high quality facilities for cyclists, thereby increasing the number of people cycling in Dún Laoghaire-Rathdown. The Council is seeking feedback on how this map can be improved or if there are any errors / omissions in this draft. Once the map has been finalised it is intended that a print run would be undertaken and the maps would be available FREE of charge. We welcome and encourage any comments. The map is available to download on the Councils website,www.dlrcoco.ie. Great to see everyone enjoying the music and dancing at the Ceili Mór in Dun Laoghaire today. Well done Michael O’ Brien and DLRCOCO for organising event. Thank you Jacqui in Mary Mitchell O’ Connor’s Office for organising Irish Dancers to give a display of hornpipes, jigs and reels. The dancers in their beautiful Irish dancing costumes really brought the Seafront to life, and their Irish dancing combined with the fine traditional melodies of the Sean Norman and Fodhra Ceili bands created a great atmosphere on the night. Many of the dancers were All Ireland Champions and Leinster Champions. The crowd had great fun and participated in the set dancing. Great weather and great fun.